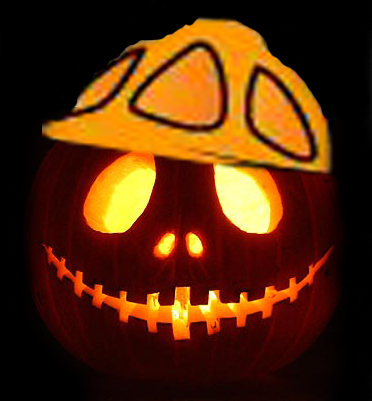 31st October – Not Just Hallowe’en but HMRC Tax Return deadline day! Samhain, Halloween, All Hallows Eve – what ever you want to call it, it’s a time to be scared if you haven’t filed your paper tax return! The tax return has to be on HMRC’s desk by today and due to new penalties for this year, there will be a £100 fine for those filing late, even if there is no tax due to be paid or the tax you do owe is paid on time. The longer you delay, the more you’ll have to pay, as there are further late-filing penalties after three, six and twelve months. What happens if you miss the tax return deadline? If you miss the deadline for sending in your paper tax return, you should send it online instead. If you don’t, you will have to pay a penalty. You must send your return online by midnight on 31 January 2012. The longer you delay, the more you’ll have to pay. If your tax return is three months late, you’ll have to pay a penalty for each additional day it is late. If it is six months late, you’ll have to pay a further penalty and another final penalty if it is 12 months late. Together these could add up to a penalty of £1,600 or more. So make sure you get your tax return in on time. Remember, if you’ve missed the paper tax return deadline, don’t send a paper tax return, send it online. If you don’t, you will have to pay a penalty. Bettertax are registered HMRC tax agents and file our clients’ tax returns online, and on time! Many of our clients had been too worried or not aware that tax returns should have been completed and had therefore not been claiming the tax refunds due to them. It’s a daunting prospect dealing with HMRC when you are in a tax mess but we can look at past years tax claims for you and liaise with HMRC on your behalf to get you up to date. If you are at all worried about your tax situation, if you know you are behind with your tax returns or you just need some advice, we’re happy to help. Home » Blog » 31st October – Not Just Hallowe’en but HMRC Tax Return deadline day!